Why bring Plato into a modern discussion of ethics and classical theism? While moderns might nostalgically refer to him in their works, his theological and ethical teachings, especially in the form he presented them, are usually not considered serious contenders in today’s theologies and texts on the metaphisics of morals. There are of course some notable exceptions, like Robert Adams, but even Adams admits Plato gets relatively little attention. In light of this, several key reasons can be adduced to show that Plato is very important—especially for the Christian community. One important reason is that early theologians like Ambrose and Augustine saw value in his work and Platonic thought helped shape their theologies. Another reason—one that should be particularly interesting to Christians—is that Plato provides evidence of the power of general revelation. 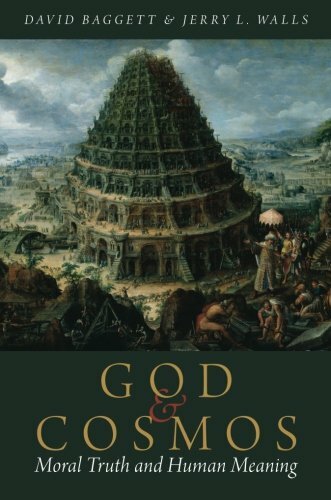 As you read through his works, you will notice many things that align nicely with Christian theology. Most importantly, Plato was an amazing philosopher and many of his philosophical insights still have value today. My hope is to mine some of these insights (e.g., the foundations of objective morals, levels of moral motivation, etc.) over a series of posts. Hopefully you will enjoy the ride. In The Republic, Plato’s Socrates faces his most difficult—and most important—challenge: the battle for objective morality. In Book 1 of the dialogue, immediately after Socrates defeats Polemarchus and removes convention as a possible foundation for justice, Thrasymachus attacks Socrates like a beast with his wild opinion that “the just is nothing other than the advantage of the stronger” (338c). In other words, true justice (or morality) does not exist—powerful men create morality to ensure that others will do as they wish. Thrasymachus is brash, but he is not a trained philosopher, and Socrates quickly shows his assertion to be inconsistent. However, Glaucon and Adeimantus come to Thrasymachus’s aid (or at least his argument’s aid), presenting a more philosophically sound version of his nihilism, and together they press Socrates to show what justice truly is and why it is good in and of itself. At this point Plato’s Socrates claims to be at a loss, for his dialog partners would not accept the “proof” he offered to Thrasymachus that justice was better than injustice. However, he is willing to investigate the matter with their assistance to see if he can save objective morality. In his investigation, Socrates discovers defeating Thrasymachus requires four things: 1) a transcendent standard; 2) a standard that is recognizably good; 3) a standard people can know; and 4) a standard people are able to adhere to. Without any one of these items, nihilism wins. The foundational insight that Plato provides in The Republic is that for objective value to exist it must have a foundation that is not merely an invention of some group—or even unanimously of all persons. An invention is merely convention, and Plato had forcefully removed that as a possible foundation for morality in Book 1 with his master’s discussion with Polemarchus. Any mere invention can always be reinvented and therefore cannot provide the unchanging foundation that true values require. For a standard to apply to all persons at all times, it must be transcendent. An important aspect of Plato’s assertion is that, since the Good is the source of the knowability, existence, and being of the other Forms (and everything else), it is ontologically prior to them. This is a critical insight: if something else—call it X—were ontologically prior to the Good, then X would possibly be the foundation of values. When you descend to the bedrock foundation of some value, you come discover the essential nature of that value; the buck stops there. The Form of the Good defines goodness simply because it exists and because of its nature—it is the type of thing that can possibly ground goodness—not for any reason outside its nature. In the knowable the last thing to be seen, and that with considerable effort, is the idea of the good; but once seen, it must be concluded that this in fact is the cause of all that is right and fair in everything…and that the man who is going to act prudently in private or in public must see it (517c). There is no external way to judge the goodness of the standard; it must be experienced directly. Once this is done, it will be obvious that all of the terms we try to use to judge the goodness of things owe their existence to the Good itself—they have no other source. As you can see from the quote above, Plato tells us it is difficult to know the Good. His cave metaphor helps us to understand why. When an inhabitant of the cave, who is only used to seeing dim shadows cast on the inner wall of the cave, emerges into the brightness of the sun, he cannot perceive it directly. The difficulty of knowing the Good, and the training it will take to make true philosophers who can actually achieve this (through the use of the dialectic), occupies most of Plato’s time in Books 5, 6, and 7, detailing the education of the Guardians (and true philosophers). Although it is difficult, and perhaps no man has done it well so far, in Plato’s economy it is possible to come to know the Good. But knowledge of the Good is indispensable: if you cannot know it, you cannot intentionally do it. The final piece of the Platonic puzzle is that of being able to live according to the standard once one knows it (what contemporary philosopher John Hare calls the “performative” question)—Plato’s view of the soul plays the key role here. For Plato, the soul has three components: the calculating part (the head), the spirited part (the chest), and the desiring part (the belly). By default, through nature and poor training, Thrasymachean order exists in the soul where the belly rules and the chest drives one to fulfill desires—the head is used only to calculate how best to get what one wants. Plato tells us, however, that if these three are in harmony—the head ruling the belly through the chest—then we can overcome our passions with knowledge (of the Good) and do the things that we should truly desire to do if we want justice. When properly cultivated, our knowledge of the Good can lead us to live just lives. Such discussions generate an appearance of significant diversity of views where what is really significant is an overall similarity. The overall similarity is made clear if you consider that every one of the best known English academic moral philosophers has put out a philosophy according to which, e.g., it is not possible to hold that it cannot be right to kill the innocent as a means to any end whatsoever and that someone who thinks otherwise is in error. If your ethical system cannot confidently state that murder for fun is wrong, difficult work still lies ahead, work eminently worth the effort. Modern (naturalistic) moral philosophy is faced with the significant challenge of finding a stable foundation for ethics that does not produce unpalatable implications, yet still does justice to our pre-theoretical and nonnegotiable moral insights and apprehensions. 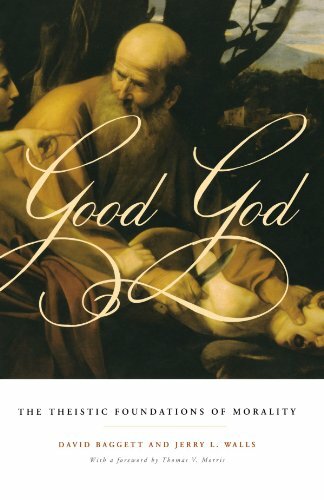 In my next post I’ll look at how classical theism generally and specifically Judeo-Christian ethics can meet Plato’s four requirements, thereby providing an adequate foundation for objective morality. Thrasymachus makes the assertion that the unjust man, inventing morality to gain advantage, is virtuous and wise. However, in his nihilism, Thrasymachus does not realize that when he dispatched the foundation for justice he actually destroyed all value. Unfortunately for him, he still held to a conventional view of virtue (in particular, wisdom in the crafts) and Socrates used this to show an inconsistency in his view of justice. Socrates uses conventional ideas of wisdom to show that unjust men cannot be virtuous and wise, and uses this to defeat Thrasymachus. Image: "Platon, painted portrait" by thierry ehrmann. CC license.